Schick Hydro shavers now have a more convenient way to restock their favorite Schick blades with the new Amazon Dash Button for Schick Hydro, launching today. 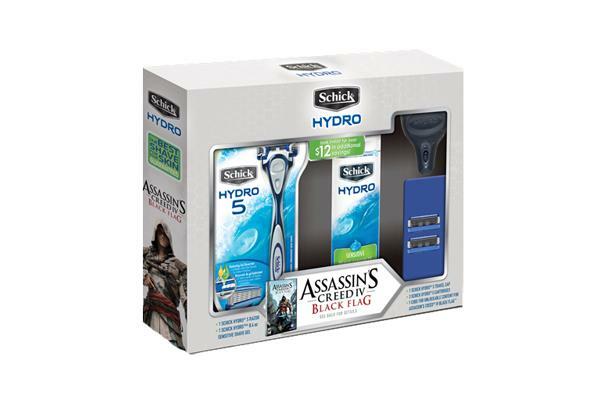 The new Amazon Dash Button for Schick Hydro offers a variety of different cartridge refills and Hydro Sensitive Shave Gel to fit everyday shaving and skincare needs, including the new Schick Hydro 5 in regular and sensitive SKUs, Schick Hydro 3, Schick Quattro® for Men, and a variety of disposable razors to choose from, including Xtreme3® disposable razors. What is the Amazon Dash Button? It’s a Wi-Fi connected device that reorders your favorite product with the press of a button. Each Dash Button is paired with a product of your choice, which is selected during the set-up process. When you’re running low, simply press Dash Button—ensuring you never run out of your essentials again. To learn more or to purchase an Amazon Dash Button for Schick Hydro, click here. I learned more about shaving from pro barber Woody Donahue in two hours than I had in 20-plus years of begrudgingly dragging a razor across my face. 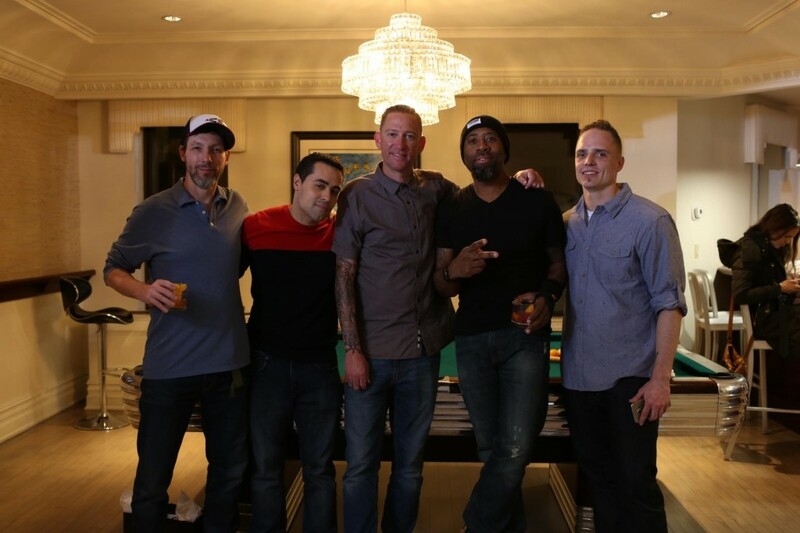 Donahue, the official Schick Hydro barber, set up shop at The Carlton Hotel in New York City and gave us the full treatment via hot towel shaves at a showcase event for the new Hydro5 and Edge Shave Gel. If you’re like me prior to the event, you probably have no idea how great, and how necessary a full shave from a professional is. On top of being surprisingly relaxing (considering a dude has a razor at your jugular), a hot towel treatment at the start gently opens your pores and relaxes your skin. 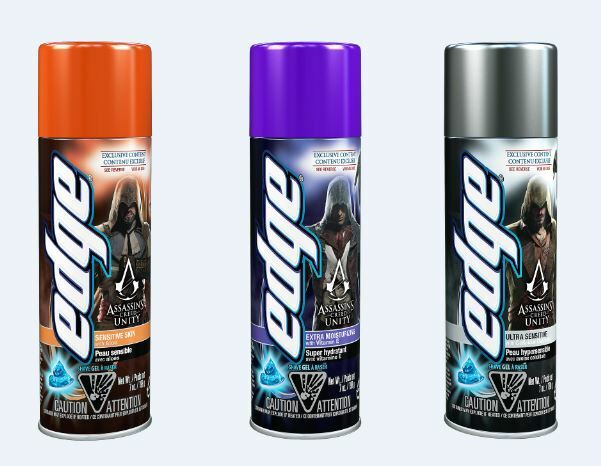 Schick, Target and “Assassin’s Creed” teamed up a year ago for the release of “Black Flag,” and this year, they’ve added Edge Shave Gel to the party. Available now are three limited edition “Assassin’s Creed: Unity” Edge Shave Gel cans, and each one includes exclusive access to downloadable content including swords, armor and more. – Edge Sensitive Skin Shave Gel gives access to an exclusive downloadable sword, contains aloe, and helps prevent nicks, cuts and irritation. – Edge Extra Moisturizing Shave Gel gives access to exclusive downloadable armor and has vitamin E and a blend of ingredients to leave your face hydrated and smooth. – Edge Ultra Sensitive Shave Gel gives access to an exclusive downloadable Assassin’s Hood, contains colloidal oatmeal, and helps provide protection against razor burn. Target stores will offer a complimentary $10 gift card to any customer purchasing both the “Assassin’s Creed: Unity” game and any “Assassin’s Creed: Unity” Limited Edition Edge Shave Gel can (excluding 2.75 oz). The promotion lasts until today, November 26th. If you’ve never shaved with Edge or Schick, now is the perfect time to try them out. Read the full review of both. Today the latest X-MEN movie, “X-MEN: Days of Future Past”, will be released in theaters. Just like the X-MEN are famous for charting their own paths and tackling any challenge, Schick is challenging men to do the same by changing up their grooming routines. Schick is giving guys who take the Schick Hydro Challenge the chance to unlock “X-MEN: Days of Future Past” content, and win prizes, while experiencing an amazing shave, or your money back. The Schick Hydro Challenge works like this: try a Schick Hydro razor and if you don’t prefer it, you get your money back. Those who X-Cept the Challenge can receive a free exclusive X-MEN t-shirt with the purchase of any two X-MEN branded Schick products. Simply look for specifically-marked Schick razors at your local retailer for access to the exclusive mail-in offer. Schick has also launched the X-MEN Challenge on Facebook and at the X-MENChallenge.Schick.com featuring tons of trivia for fans to challenge each other and see who knows more about X-MEN. For each game played, fans are entered into a sweepstakes to win various weekly prizes, including “X-MEN: Days if Future Past” movie merchandise and HD flat screen TV’s. One lucky player will win an X-MEN prize pack worth over $1,800.